Warren Golf Course. Photo by Matt Cashore/University of Notre Dame. 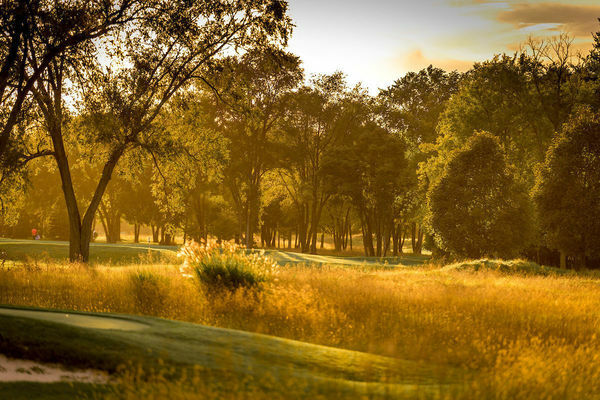 The Warren Golf Course is the beautiful setting of the 40th U.S. Open. Volunteers are needed to help out at the U.S. Senior Open, June 24-30, at The Warren Golf Course, north of campus. Opportunities include helping with the leader boards, merchandise, ball positioning and transportation. Volunteers receive an Under Armour uniform package, complimentary meals, and access to the championship on the days when not assigned to help. Volunteers may also work with friends and choose which shifts to work. The Warren Golf Course is the first collegiate golf course to host this major championship and this is the third unprecedented event to be held at Notre Dame in 2018-19. In October, Garth Brooks performed to a sold-out crowd at Notre Dame Stadium, the first-ever concert in the historic venue. On Jan. 1, the Chicago Blackhawks and the Boston Bruins faced off in the stadium for the NHL Winter Classic, a nationally televised event. Mike Seamon, vice president for Campus Safety and University Operations and general co-chairman of the championship, calls this a remarkable time in the University’s history. “It’s a moment when Notre Dame is trying something different,” he says, adding that hosting such large-scale events provides “a unique opportunity to draw unprecedented interest and attention to the University and the surrounding area.” The events translate into increased business for local hotels and increased economic activity in the community as a whole. Sign up to volunteer at the U.S. Senior Open: 2019ussenioropen.com/volunteer-information. Originally published by Gwen O’Brien at ndworks.nd.edu on March 18, 2019.